DWC (Double Wall Corrugated) Pipes are originally manufactured by using HDPE material and is used as a replacement for GI, RCC & PVC pipes in electric cable networks and other applications. DHY Trading Corporation, being one of the paramount DWC Pipes Manufacturers In Mumbai, India, has standard designs in different configurations to use in underground laying, sewer laying, electrical work, etc. This Double Wall Corrugated Pipe has gone through different quality tests, which ensures that they have the ability to bear the maximum load. Their corrugated shape makes them heat resistant and ensures quick and simple installation. While manufacturing the DWC pipes, very minimal material is required that reduces the environmental issues. Due to their durability, they serve the best performance for years and years, and you don’t need to replace them shortly. 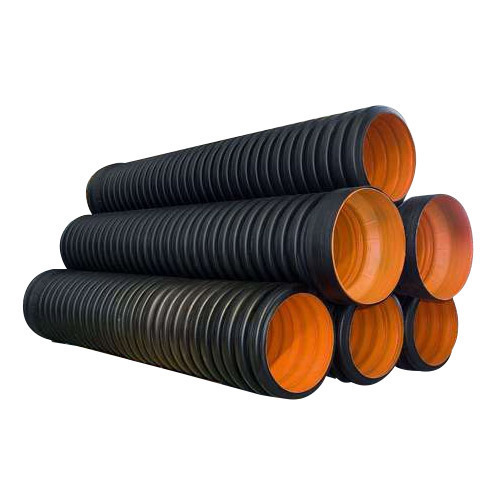 They are known for their excellent features, which increase their demand and we, as one of the painstaking HDPE DWC Pipe Suppliers and Exporters, try our best to meet that. You can send the enquiry or call directly to speak with our executives now. Drainage for non pressure underground sewer applications such as culverts etc.